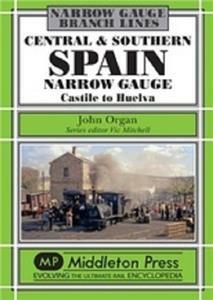 From the windswept plains of Castile to the barren industrial wastelands of Huelva, the central hinterland of Spain once boasted an impressive network of narrow gauge railways. With the exception of one short electrified line to the north of Madrid, all these railways have been consigned to history. This volume illustrates the many diverse systems that once traversed this most interesting and varied country, some of which were very extensive operations with a wealth of interesting motive power and equipment.120 photograghs and 96 pages hardback.